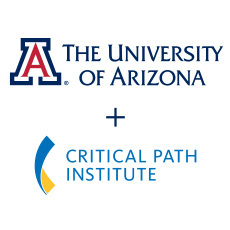 TUCSON, Ariz., January 17, 2019 — Critical Path Institute (C-Path) is excited to announce the launch of Critical Path Institute, Ltd. (C-Path, Ltd.) in Ireland, a fully-owned subsidiary that will enable C-Path to increase its activity in the European Union and broaden its global operations as it works to accelerate the development of therapies in a wide range of diseases and medical conditions. As a nonprofit that builds consensus among its stakeholders from around the world to improve public health, the organization shares expertise, data, risks and costs to move regulatory science forward. As its U.S. counterpart does, C-Path, Ltd. will form consortia of scientists and clinicians from the biopharmaceutical industry, government regulatory agencies, academic institutions and patient groups. These consortia will collaborate to develop novel methodologies — such as biomarkers, clinical outcome assessment instruments, models and clinical trial simulation tools and databases — and will submit evidence packages to European regulatory agencies (as well as agencies in the U.S. and Japan) for review. The novel tools and methodologies will be made freely available to the broader scientific community. Shortly after it was founded in 2005, C-Path began forging relationships with European entities. In 2007, C-Path’s Predictive Safety Testing Consortium (PSTC) was the first collaboration to submit through the pilot qualification procedures an evidence package for seven kidney safety biomarkers to the U.S. Food and Drug Administration (FDA), the European Medicines Agency (EMA) and the Pharmaceuticals and Medical Devices Agency (PMDA) in Japan. In May 2008, EMA issued a qualification statement for these nephrotoxicity biomarkers. 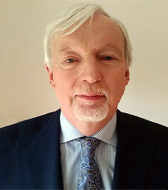 Over the ensuing 10 years, C-Path has received a number of positive qualification opinions from EMA including those for an Alzheimer’s disease imaging biomarker, a disease model of mild to moderate Alzheimer’s, kidney safety biomarkers, the Hollow Fiber System model of tuberculosis, a polycystic kidney disease imaging biomarker, and a Parkinson’s disease imaging biomarker, as well as EMA Letters of Support for skeletal muscle and liver safety biomarkers, and a proposed model-based clinical trial enrichment tool for clinical trials in Amnestic Mild Cognitive Impairment (aMCI). The C-Path, Ltd. Board of Directors brings a wealth of experience in medical research and innovation, academic leadership, regulatory science and the pharmaceutical and biotech industries. Enda Connolly, B.A., has held leadership roles in economic development, science and innovation in Ireland for more than 35 years. As chief executive of the Health Research Board, he helped reposition Irish health research by introducing innovative funding initiatives that place emphasis on patient-oriented research. 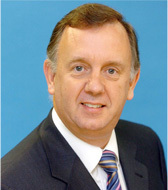 He previously served as a member of the executive team of IDA Ireland. Connolly has worked as a strategic advisor on economic development projects for the governments of Qatar and Saudi Arabia. He currently is chairman of the Board of Beaumont Hospital, and he serves on the boards for RCSI Hospital Group and the Health Information and Quality Authority. John Hegarty, Ph.D., D.Sc., has more than 40 years of experience in research, education, and university leadership. He was a professor of laser physics at Trinity College Dublin, where he served as president/provost from 2001 to 2011. More recently, Hegarty co-founded Innovation Advisory Partners, which focuses on education, research, and innovation policy. He is chair of the Irish Times Trust and a member of the Irish Times Board. He also is a member of the Fulbright Ireland Board and the Hugh Lane Gallery Board, and he chairs the Translational Medicine Institute based in St. James’s Hospital. Graham Higson, M.Sc., has spent more than 35 years in the pharmaceutical industry. He is managing director and owner of GCH Pharma Consulting Ltd, which specializes in the provision of strategic regulatory advice, drug development, regulatory outsourcing and organizational development. He has been a member of both the EFPIA and PhRMA regulatory affairs committees, the CMR Regulations Advisory Board, and the TOPRA Regulatory Advisory Council. 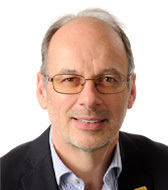 Higson will continue to serve as the Executive Director, European Office, for C-Path. 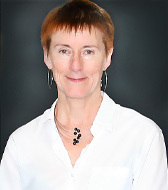 Caitriona O’Driscoll, Ph.D., B.Sc. Pharm., is a pharmacist, and professor and chair of pharmaceutics at the School of Pharmacy, University College Cork (UCC), Ireland. O’Driscoll’s research is focused on the design, formulation and characterization of biomimetic drug delivery systems, incorporating the products of the pharmaceutical biotechnology industry such as peptide/protein-type drugs and nucleic acids. She is a board member of the Irish Health Products Regulatory Authority and a founding member and chair of Regulatory Science Ireland. Mary Teeling, M.D. Pharm., is a specialist pharmaceutical physician with more than 30 years’ experience in the areas of pharmacology and pharmaceutical medicine. She developed the Master of Science (MSc) in Pharmaceutical Medicine programme in 2004, while working in Trinity College Dublin, and was course director up until 2018. Currently, she is adjunct professor of pharmaceutical medicine within the department of pharmacology and Therapeutics. 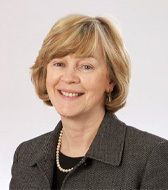 She has also worked, or held roles, with the National Medicines Information Centre, the Irish Medicines Board, the EU Committee for Human Medicinal Products, the Royal College of Physicians, the NDA Regulatory Advisory Board and the WHO Uppsala Monitoring Centre. Visit the Critical Path, Ltd. website at: https://c-path.eu/.